Taste test: We've been down on Doritos before for having the "same old taste" no matter what the actual flavor. Fortunately, this time it's different. 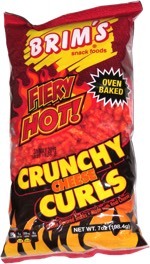 These really did taste like we'd dipped the chip into a bowl of salsa, and it even had a kick as an aftertaste. It had a typical Doritos crunch, and there was a lot of powder on the chip. 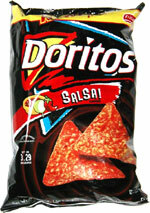 Smell test: They still smell like every other bag of Doritos that I've ever smelled.